Small Blind and Big Blind are the main reasons why playing poker is so exciting. Without the fact that there's always some number of chips to play for - no matter the quality of player's hole cards - makes the game infinitely more interesting to play and watch, than it would've been without that constant blind pressure. Turns out that this pressure can be further magnified by a play called the Straddle. A straddle is a voluntary blind bet that players can opt to place in the pot before the hole cards are dealt. This play used to be very popular, but it went out of style when most online poker rooms declined to place the Straddle feature in their software. 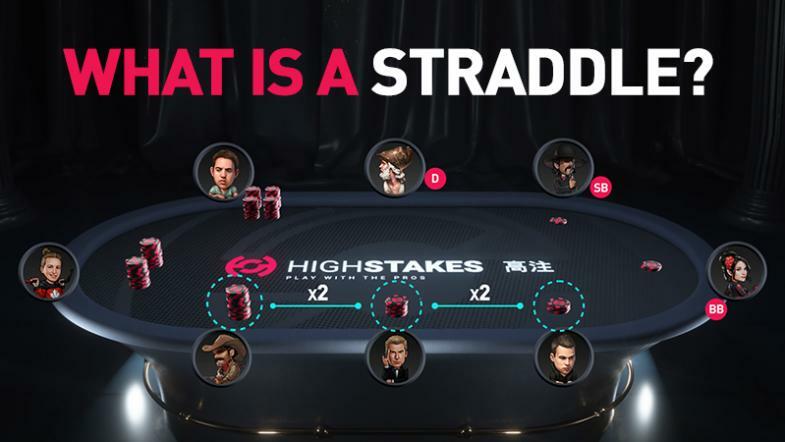 However, at HighStakes.com players face no such limitation and in this article you're going to learn more about the Straddle. Traditionally, a player choosing to Straddle can put the chips equal to two times the big blind amount into the pot and buy himself the right to act last during the first round of betting action. Then the next player can place another Straddle by doubling the previous blind bet and taking the right to act last pre-flop for himself. This can go on indefinitely until one of the players decides to go all-in threatening to win all of the money blindly committed to the pot if he or she is not called by another player. In reality, multiple Straddles are a very rare occurrence, especially because even a single blind bet committed to the pot on top of the usual small blind and big blind amount is normally enough to make the hand infinitely more exciting to play. Pots involving a Straddle are bigger and invite more action from the players eager to win the relatively high amount of blindly committed chips. 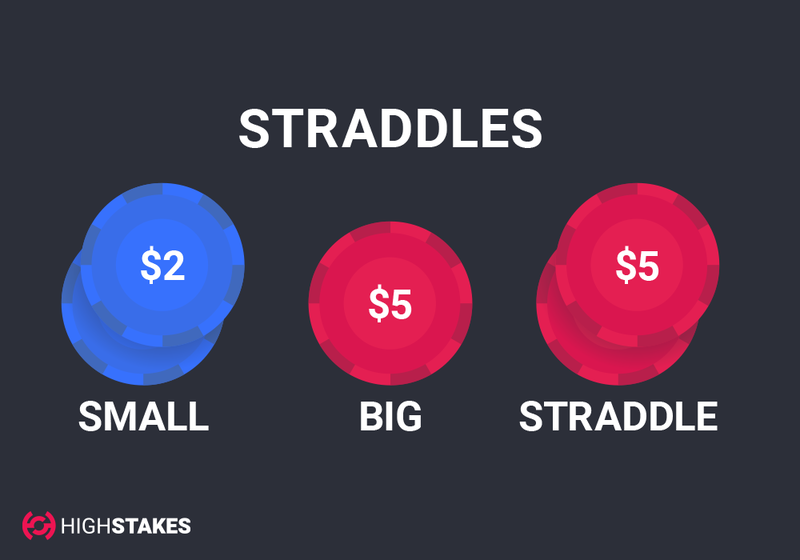 While the expected value of a Straddle is negative, there are legitimate reasons why you might want to consider using this feature. If you're the best player at the table you can possibly make up for the lost pre-flop EV on subsequent streets, and a Straddle can make it more likely that weaker players will go along for the ride. If you're playing in a particularly tight game, by repeatedly placing a Straddle in the pot you're effectively forcing tight players to go outside of their comfort zone. A straddle is also a useful tool for players who feel more comfortable in a low stack to pot ratio situations. Straddle makes the effective big blind two times bigger than normal, making every subsequent bet much higher than it otherwise would've been. Lastly, Straddle is simply a fun way of playing poker, so if for some reason you don't care much about the expected value of your plays, or you're in a game where most of the players simply aim to maximize their enjoyment, putting additional blind bets into the pot before the hand starts can be a great way to accommodate that. HighStakes TIP: If you have position and have deep stacks vs a weaker player you should straddle to create larger pots vs them! Experience the fast paced action and variety with a chance to win big! Join us by playing one of our Omaha and Hold’em poker Tournaments today!